OAK HILL, NY– If you are familiar with New York’s Hudson Valley music scene, you may already know about the region’s premier bluegrass music festival that has been a staple in the Catskills since 1984–as far back as this writer can remember. Every July the sprawling Walsh Farm in Oak Hill, NY is transformed into a virtual who’s who of bluegrass. The American roots music event is back again beginning this Thursday, with headlining acts ranging from heavy weights Del McCoury, Sam Bush, Jerry Douglas, Della Mae, to the genre-bending Wood Brothers to name just a few acts. For festival campers, who opt in for the full weekend experience (Highly recommended) the farm transforms into a city grid with street names that give a nod to the all time greats of the genre. Years ago, my first festival assignment as a gonzo journalist was to explore Grey Fox. A long time fan of rock and roll music, I had been turned on to bluegrass after listening to the Pizza Tapes record, a well-regarded collaboration between Jerry Garcia and David Grisman. What I learned quickly was that the music festival is more than just a set of concerts, it comes with strings attached. Long after the headliners were in bed, folks from the audience (some of them musicians themselves) were still twanging on their mandos deep into the wee hours of the morning. 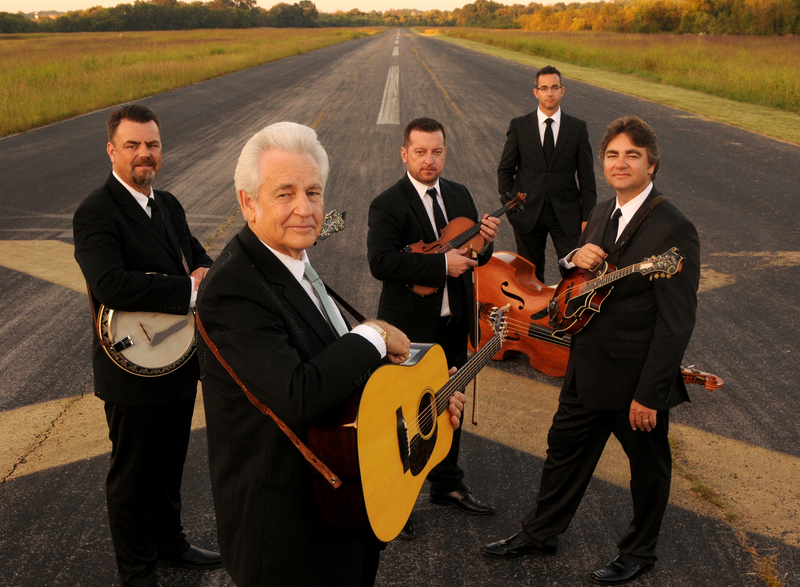 Del McCoury, one of the living legends featured this weekend, got his start playing with Bill Monroe in the Blue Grass Boys. On Friday evening, this Grammy Award-winning artist is sure to draw a large audience as he takes the festival’s largest stage, known at Grey Fox as the High Meadow stage. 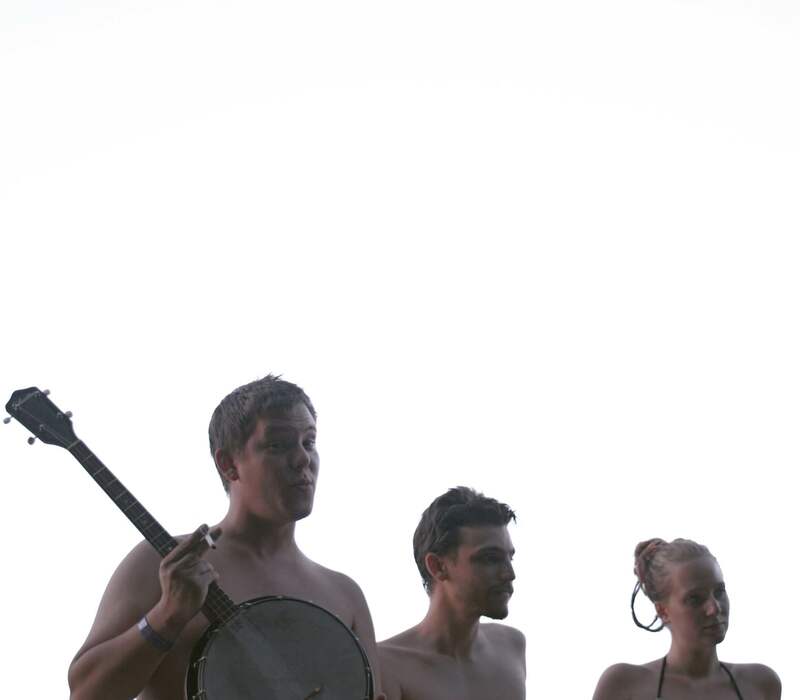 Stick around for the sunset, as Billy Strings follows McCoury, and the Wood Brothers – well known for mixing folk, blues, gospel – top off the evening. On Saturday night Sam Bush, a mandolin player known for blending rock, jazz, reggae and gospel into a traditional bluegrass sounds, headlines, followed by the Steep Canyon Rangers, and topped off by the Nashville-based string band Della Mae, who will close the night. The Friday and Saturday night lineup I am listing is just a sample of the performers on those respective evenings. Many seasoned festival goers already know who they will be waiting for before the set begins. I recommend downloading a schedule before arriving as there are many acts spanning the five stages at Grey Fox. 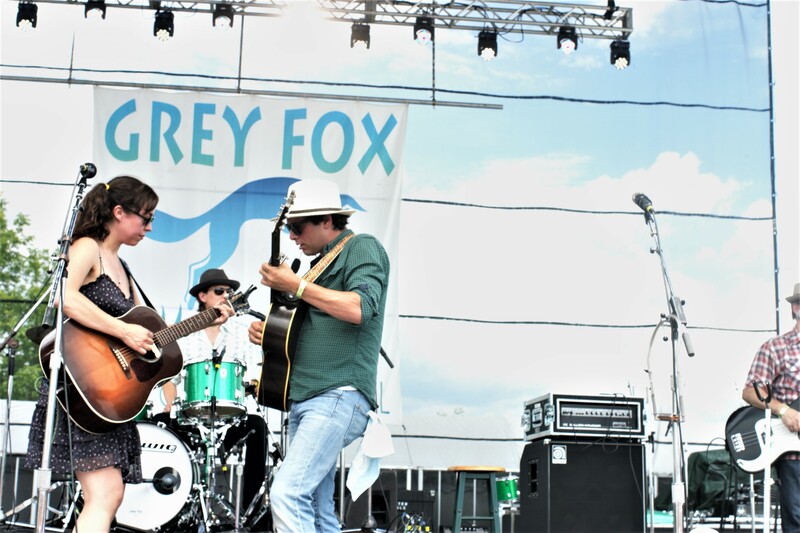 You really need to customize your schedule, which can easily be found before you arrive on the Grey Fox website https://greyfoxbluegrass.com. Everybody who goes to Grey Fox finds one summertime ritual or another that keeps them coming back. From headlining bluegrass legends and late-night jam sessions, to gonzo parades, this festival holds a special place in the lives of the thousands who attend every year. Monica Wemyss, a New England native, who has been making the pilgrimage with her friends for a decade, and one of the first people I met at Grey Fox, said it’s more than just music for her. 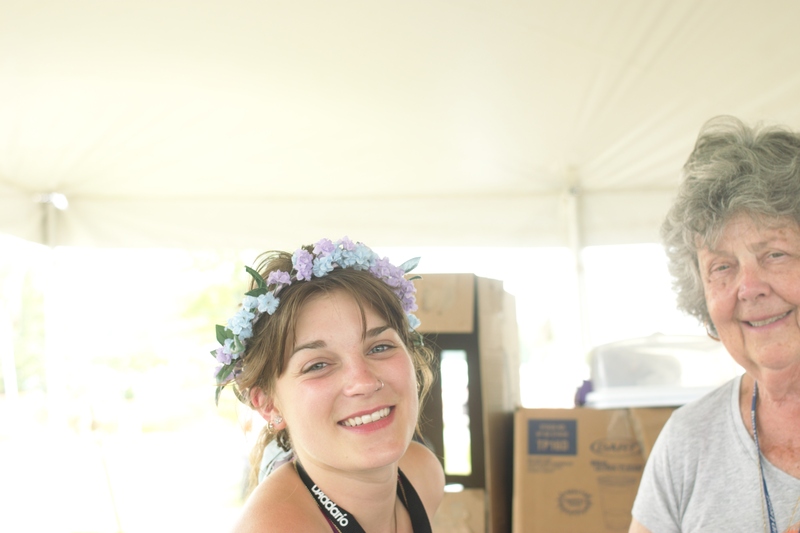 “Grey Fox has always been more than a festival or a party,” she said. “It’s a family reunion set to world class music–and every time you return it’s like you never even left. There truly is something for everyone this weekend. Aside from the sprawling musical stages, children’s entertainment abounds. Kids from grade school through high school that attend the festival can enroll in music classes and other activities. 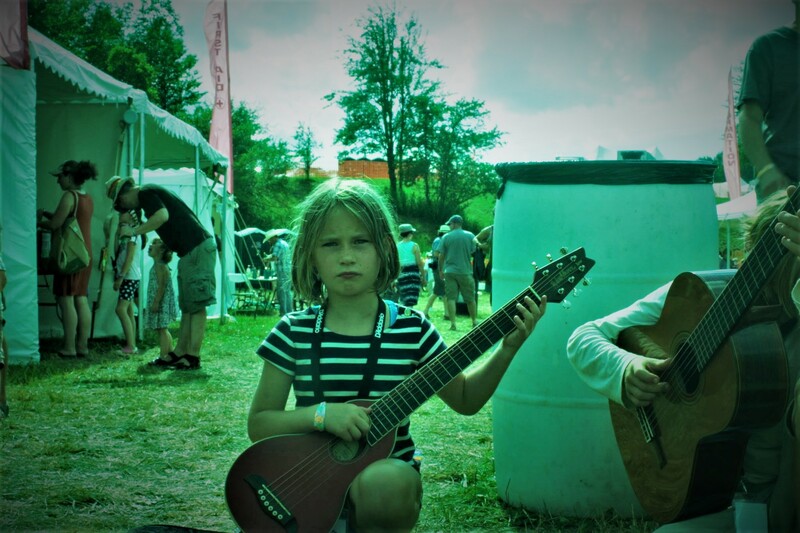 The Grey Fox Bluegrass Academy for Kids is a free four-day program where the younger festival goers get a chance to have at the strings. There is instruction in mandolin, banjo, bass, cello, viola, fiddle and guitar. Each day another instructor, often headliners at the festival teach sectional classes and ensemble sessions with the entire group. For the younger generation, excitement peaks as the closing Sunday features the ‘Graduation Gig’ early afternoon on the (main) High Meadow Stage. Full festival access with the option of camping is $235, (next year get the early bird specials). Day Passes are $85. The festival is about an hour and 45 minutes from Rockland, in the Catskill Mountain Region, held at the Walsh Farm, 1 Poultney Road (off County Route 22) Oak Hill, NY, 12460.